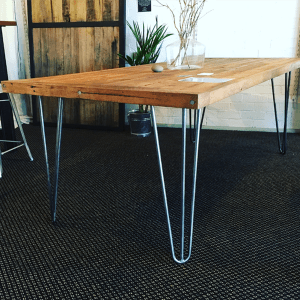 Our stunning hairpin leg dining table is available with a salvaged timber top or hardwood timber slab. 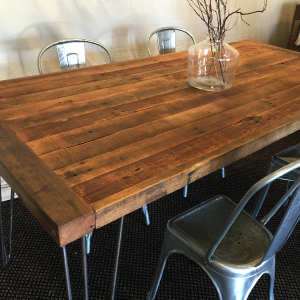 Timber textures range from naturally weathered, to highly polished. 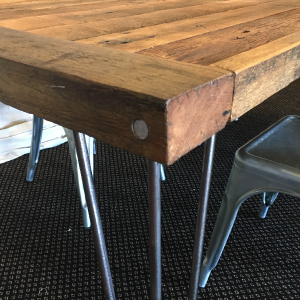 To complement this tables’ industrial style, we also have matching hairpin leg bench seats. 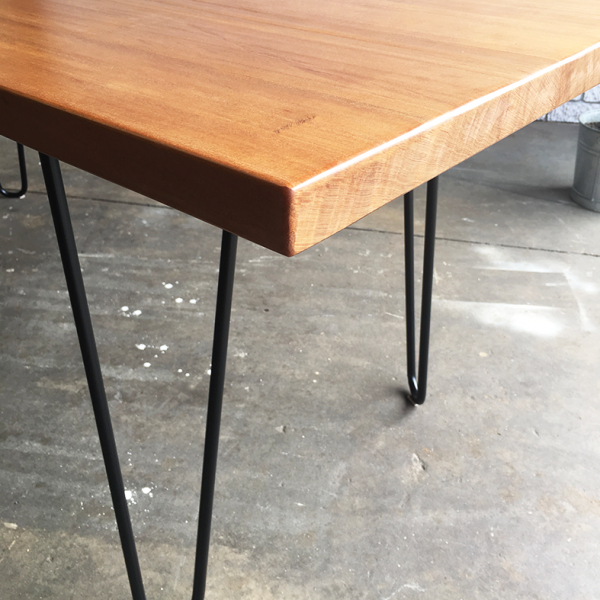 Steel finishes include powder coating, in a range of colours, or clear coating.